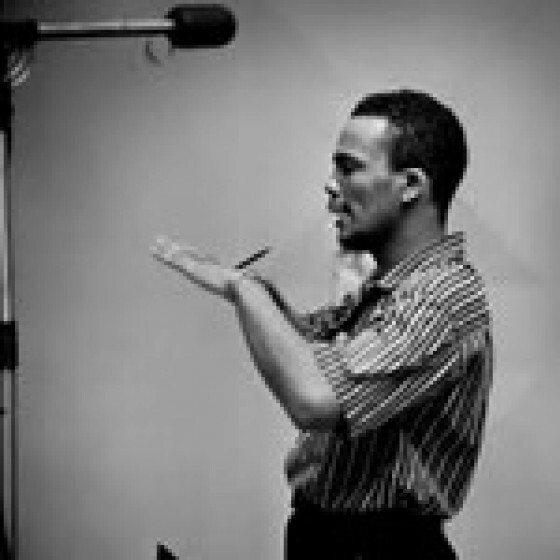 Lee Morgan, Art Farmer, Freddie Hubbard (tp), Jimmy Cleveland, Urbie Green (tb), Phil Wods (as), Jerome Richardson (fl, ts), Budd Johnson (ts), Sahib Shihab (bs), Patti Bown (p), Les Spann (g, fl), Buddy Catlet (b), Don Lamond (d), Quincy Jones (cond). This edition presents the complete original classic album "The Great Wide World of Quincy Jones", presenting the outstanding 1959 Quincy Jones orchestra. Also, it have been added a live performance in Zurich by the same band filled with superlative stars. It was issued under the same title with the addition of the word Live! Tracks #1-10 originally issued as Mercury SR60221. Tracks #11-16 issued in Japan as Mercury 195 J32. Lee Morgan, Art Farmer, Ernie Royal, Jimmy Maxwel, Nick Travis, Lennie Johnson (tp), Jimmy Cleveland, Frank Rehak, Urbie Green, Billy Byers (tb), Julius Watkins (fhr), Phil Woods, Porter Kilbert (as), Jerome Richardson (fl, ts, pic), Budd Johnson (ts), Sahib Shihab (bs), Patti Bown (p), Les Spann (g, fl), Buddy Catlet (b)and Don Lamond (d). Quincy Jones (conductor). Recorded in New York, November 4 & 9, 1959. Freddie Hubbard, Benny Bailey, Rolf Ericson, Paul Cohen (tp), Curtis Fuller, Melba Liston, Ake Persson (tb), Julius Watkins (fhr), Phil Woods, Joe Lopes (as), Eric Dixon, Budd Johnson (ts), Sahib Shihab (bs, fl), Patti Bown (p), Les Spann (g, fl), Buddy Catlet (b) and Stu Martin (d). 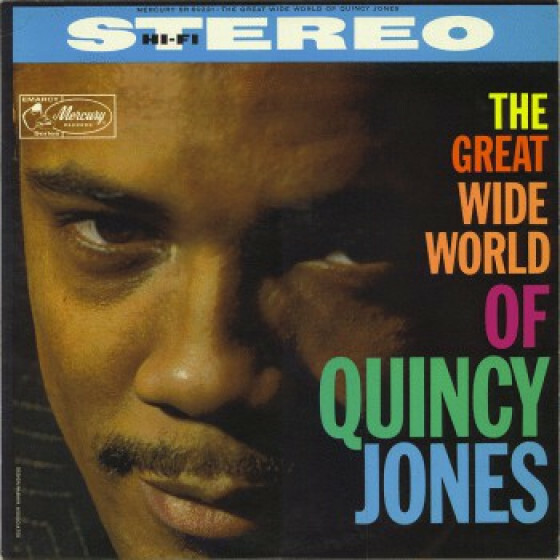 Quincy Jones (arranger & conductor). 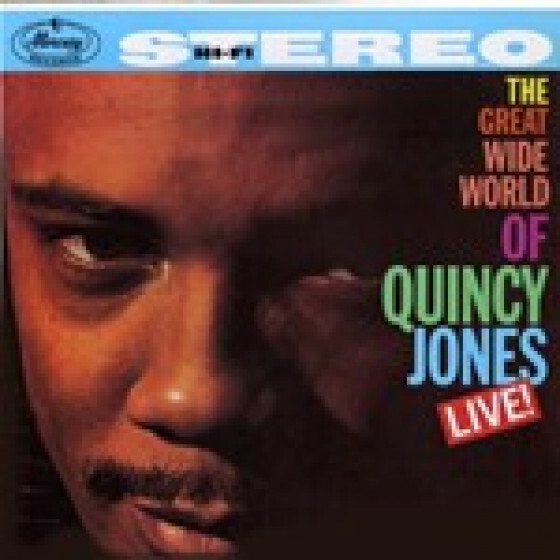 Recorded live in Zurich, Switzerland, on March 10, 1961. "This LP grows on you. Play it over once, and its nice, twice aint bad. But keep at it, and the first thing you know, youre flipping." 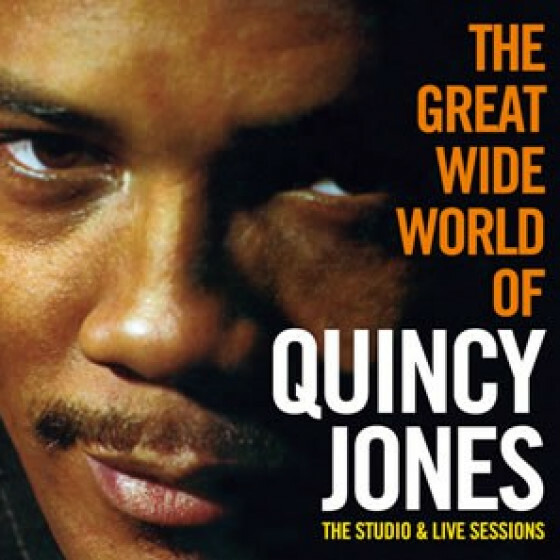 "Quincy Jones has had such strong success in pop music since the mid-1960s that it is easy to forget just how inventive and distinctive a jazz arranger he was during his prime years. 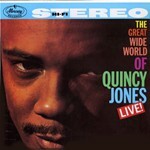 This CD reissue features the Quincy Jones Big Band shortly before they sailed to Europe as part of a Harold Arlen show. 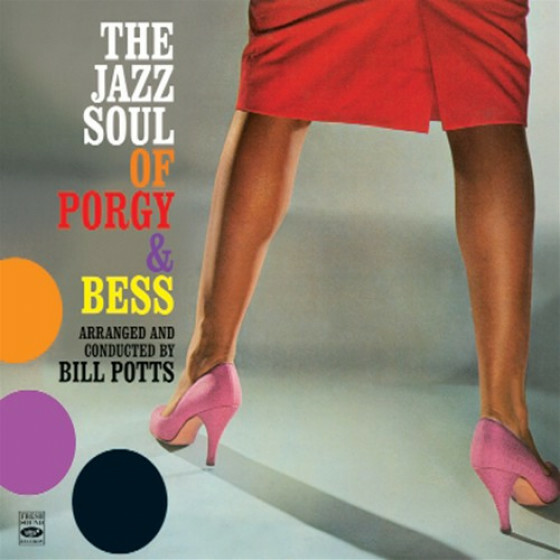 Surprisingly, none of the selections are Jones originals, and the arrangements were provided by Ernie Wilkins, Bill Potts, Al Cohn and Ralph Burns. Despite Jones' absence musically (he did conduct the group), the music sounds very much like his work. 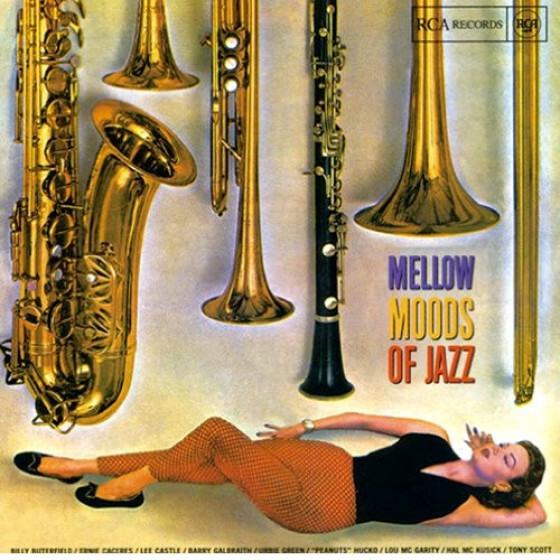 With such fine soloists as altoist Phil Woods, tenorman Budd Johnson, Les Spann on guitar and flute, Julius Watkins on French horn (on "Everybody's Blues"), trumpeter Art Farmer and two guest spots for trumpeter Lee Morgan, the music (highlighted by "Lester Leaps In," "Cherokee" and "Air Mail Special") featured a top-notch bop-oriented big band." 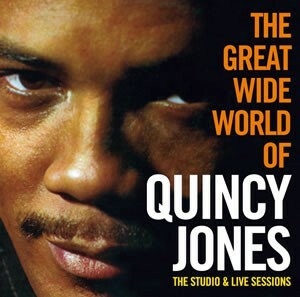 -The Great Wide World of Quincy Jones - Live! 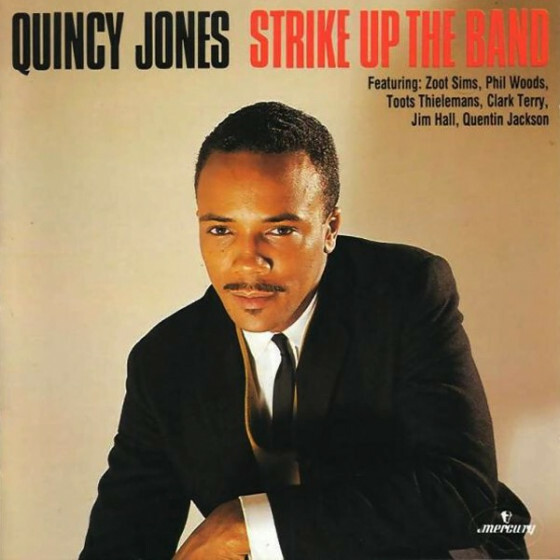 "Quincy Jones' original big band toured Europe under stressful conditions in 1960 before returning home. In 1961, they returned for a tour, and although the personnel had changed a bit, it was still a mighty orchestra. This Japanese LP (which contains music from a Zurich, Switzerland concert) has six selections, including a 13-minute version of "Stolen Moments" and a nearly nine-minute Phil Woods original, "Banjaluka," along with four shorter pieces. 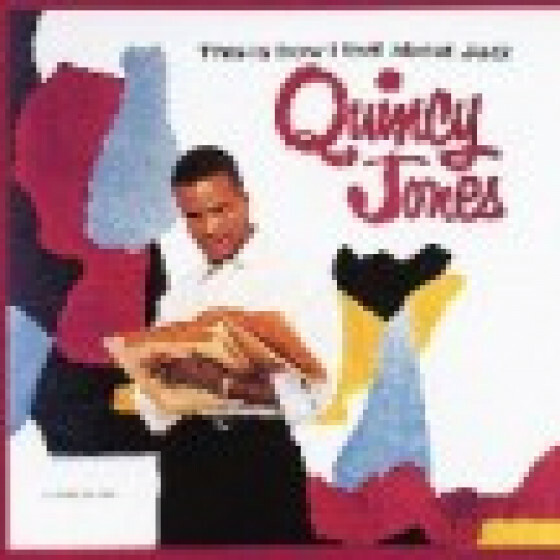 Among the key soloists are trumpeter Freddie Hubbard, Eric Dixon and Budd Johnson on tenors, altoist Woods, trumpeter Benny Bailey (featured on "Moanin'") and trombonist Curtis Fuller. 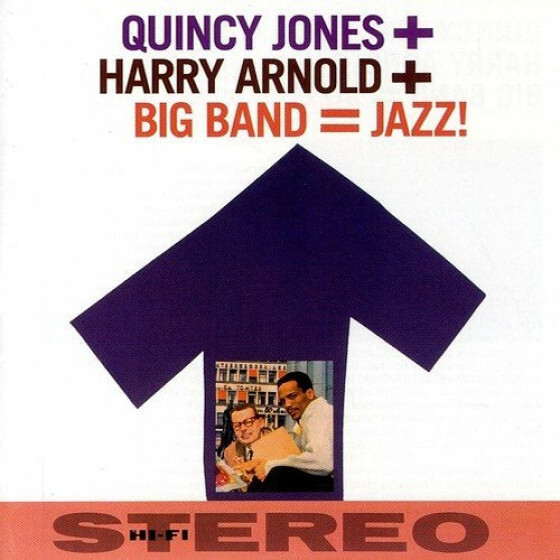 Fine straight-ahead music from a short-lived but significant jazz orchestra."